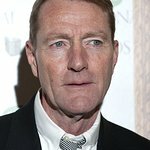 Lee Child is a British writer best known for creating the Jack Reacher series of novels. In January 2012, Grant donated £10,000 towards a new vehicle for Brecon Mountain Rescue Team in Wales. Google trends for "Lee Child"
We don't have any videos related to Lee Child.